As needs for new climate regime and reduction of greenhouse gases has become more important, global energy markets are changing into small and medium-sized power supply network based on new renewable energy. As small and medium-sized companies started to participate in energy industry, which had been an exclusive property for large capitals, number of categories of small and medium-sized power systems started to be more than that of large-sized power systems. Number of businesses, facilities, and even transactions is also rising astronomically. Blockchain technology is emerging as a technology that is a must for energy transaction markets that will arrive when energy industry converges with ICT. 2017 was a year when businesses and governments felt out a possibility of introducing blockchain to energy markets. Energy market, which connect buyers and suppliers through network just like internet, is an area that is expected to have huge synergy by using blockchain technology. European and American large power providers and engineering and IT companies, which were traditional powerhouses in energy field, are working on establishing Smart Grid, which was only mentioned as a future technology, through digitalization and current IoT (Internet of Things) trends. Biggest difference between current power network and Smart Grid is the fact that many small and medium-sized power systems such as solar energy and wind energy are connected to power systems. Because these small and medium-sized power systems have low capacities, they have low impact from power systems caused from breakdowns and they can divide their power into different regions. However, it is difficult for them to secure reliability like large facilities. 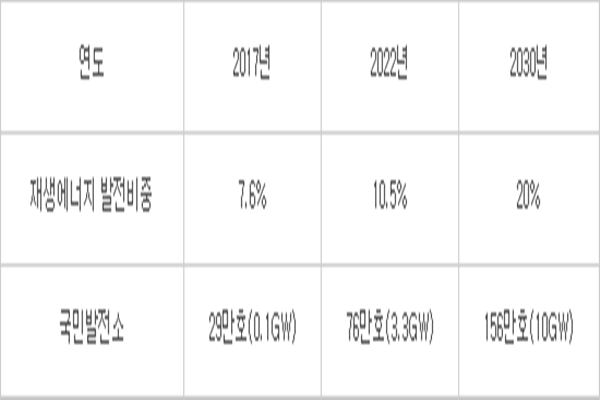 According to Renewable Energy 3020 Plan announced by South Korean Government in December of last year, small renewable energy sources that are considered as national power plants are equal to 1.56 million households and 10GW in 2030. This is why roles of ICT-based operating systems that balance supplies and demands and check facilities in real-time for stable power supply and system credibility are important. Roles of Smart Grid are to find the most effective power plant that can instantly react to demands and operate alternative resources immediately whenever there are unusual situations. Area of power market, which is divided into suppliers and consumers, is becoming more obscure. Consumers can now also play roles of suppliers due to appearance of small new renewable energy such as roof-type solar energy. Power exchange between people (Peer to Peer) is also taking place although it is still in demonstrational stage. South Korea is also preparing plans and laws that are related to power exchange between individuals under a name of energy prosumer. Energy industries are seeing that blockchain technology will be useful for power exchange between individuals. Although appearance of energy prosumer and P2P power exchange are concepts that emerged recently, they are seen as destinations for generations of distributed Smart Grid. South Korea has also carried out demonstrations of power exchange between prosumers since March of 2016. 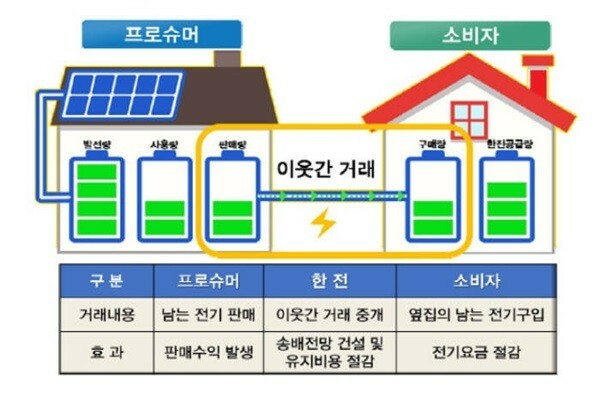 South Korea’s power retail markets are going through a transition period from Korea Electric Power Corporation (KEPCO)’s monopolistic sales structure to P2P (Peer to Peer) transaction market. Most important thing within a prosumer transaction is managing history. Because electricity is like water, ownership becomes unclear once electricity is combined with other power systems. There is only a history of how much electricity power plants sent to power systems, and it is not possible to find out where electricity was sent to and who used it. A procedure that certifies who sent electricity and who used that much amount of electricity is needed. KEPCO is acting as an intermediary for South Korea’s demonstration of power exchange between prosumers. However, if amount of power supply becomes astronomical, roles of intermediaries such as KEPCO are going to be limited. Blockchain technology is a perfect technology that can be used to certify power exchange between individuals and objects in real-time. Smart Grid has a function that auctions off or sell any amount of electricity that is left from home appliances to a neighbor. Although this method can increase amount of exposure to outside hacking, blockchain technology can be a way to supplement such weakness. By tracing amount of electricity used and how much electricity was sold for, blockchain can prevent any side-effects such as voluntary modification of energy production and distortion of electricity price per hour. It is also possible to use blockchain technology for DR (Demand Response) market that exchanges electricity that was saved through energy saving. South Korean Government is currently planning national DR project that allows normal people to participate in DR markets that are operated based on medium and large-scale power consumers such as buildings, large shopping centers, and factories. It is even thinking about AI (Artificial Intelligence DR) that allows every device that uses electricity to bid electricity that it saved on its own. Automated transaction system that process every step such as production, power-saving, auction, and purchase based on blockchain technology can be expected as well.